Elizzabeth Hope: Liebster Award! and Updates! Thank you so much to Katie for nominating me for this award!! ".. 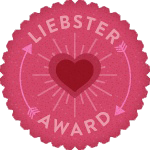 The Liebster Blog Award is given upcoming bloggers who have less than 200 followers. The Meaning Liebster is German and means sweetest, kindest, nicest, dearest, beloved, lovely, kind, pleasant, valued, cute, endearing and welcome." 1. Answer the questions the tagger has set for you. Then create 11 of your own questions for the people you will tag. 2. Choose 5 people to nominate the award and notify (via comment, message, etc). 3. Link the tagger and the nominees in your post. Your favourite designer? Too many to count! But at the moment it's Erin Fetherston, Proenza Schouler, and Alexander Wang. Who inspires you? Fashion wise? Bloggers! I love searching other people's blogs and seeing their style! What’s your wardrobe essential? Plain white t-shirt! They match with everything! If you could have a free shopping spree in one shop what shop would you choose? One of the department stores like Nords or Saks or Bloomingdales! Hello Designer! One wish? To be on E! Fashion Police!!! Why did you choose your blog name? One of my favorite TV shows as a kid was Boy Meets World so Girl Meets Fashion just fit for me! I had to! ahah! Skirts or trousers? Skirts! Love them! What city has the best fashion week in your opinion? Owww....Paris and New York! Can't choose! What is your favoritive trend? at the moment...sneaker wedges! idk why I love them but I'm dying for a pair right now!!! How do you feel about being nominated for this award? Honored! haha! Thank you sososo much to Katie Marie Clarke aka Life of a city girl! One thing you wore that you wish you never bought? Boutiques, Department Stores, or Thrift Shops? Whats the reason behind the name of your blog? If you could move anywhere in the world where would it be? I'm not going to tag anyone because I don't really have any time to :/ so I want everyone to choose 5 to all of them, questions and answer them! i totally understand - sometimes balancing school and blogging can be a lot!! congrats on getting nominated for the award! i am now following via google friend connect! You're so sweet! Congratulations for the blog award. :) I hope I can have same kind of award in my fashion blog. Happy blogging, Elizzabeth Hope! I survived the first 3 weeks of college!